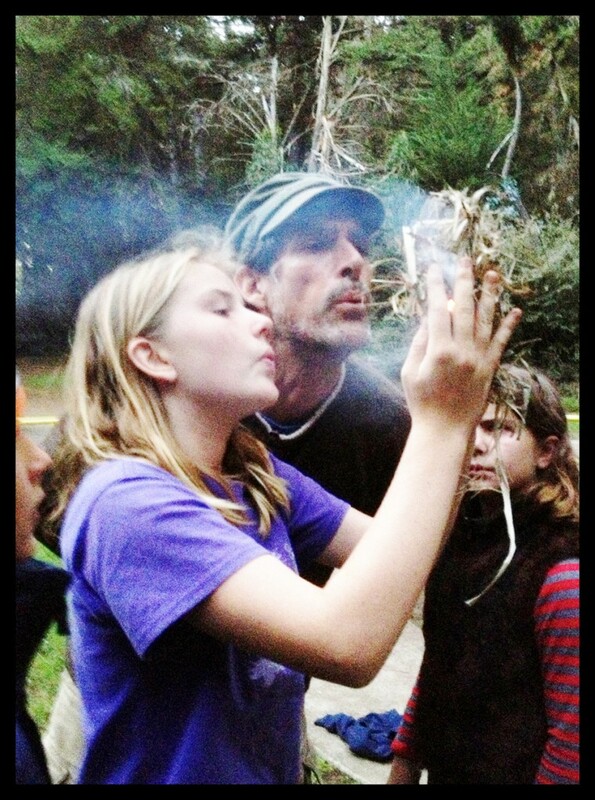 Alan Brisley is an Earth Medicine Institute’s instructor of Nature Skills. Alan’s life and mission is driven by questions like these: ” How do we repair culture, restore human connection to nature and to pass these on to the coming generations?” These themes, along with ecological restoration and the transformation of landscapes into foodscapes are at the core of his business, education and service life. At age 11, young Alan drove across the United States with his family and as he gazed upon the magnificent landscapes of the West, he aspired to become a cave man. By age 18, disheartened by industrial society and the destruction of the Earth, he dropped out of college, followed his instincts, and rode his bicycle up the Pacific coast to Washington State. There, living in an abandoned chicken coop, he began his lifelong study of nature while nurturing a seed of transformative social action. As a tracker, mentor, and teacher of nature awareness, Alan is a graduate of Jon Young’s Wilderness Awareness School where he spent 2 years honing his skills of animal tracking, nature awareness, and cultural mentoring. He also spent 4 years in Malidoma Some’s Shamanic Training Program which gave him tools and insight into the power of Nature and rituals on the psyche. Later in life, Alan’s elder mentor James Donaldson proved to be a profound influence on his and work. James introduced Alan and his family to an annual multi-generational gathering of kin called Coyote Camp which has effected Alan’s life and teaching to this day. Alan has studied with the Bushmen of the Kalahari, Jon Young, Tom Brown Jr., and Malidoma Somé.